Mahram Darou is not well known brand that we could give lots informations to you. If you check other pharmacy brands you could find lots of informations about them. For example history,products’s details and more.But this time we could not give this amount of informations to you. Mahram Darou is an Iran brand that Alvgear sells product to. If you search products of this brand you could find two products. These are Cytomel T3 and Sildenafil. Alvgear sells Sildenafil of Mahram Darou for a long time. Let’s check products section to know details about this product. If you search Mahram Darou products,you could find T3 and Viagra of it. 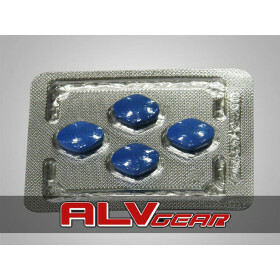 Sildenafil of Mahram Darou is a product that Alvgear already sells to. Each pack includes 4 tabs and each tabs contains 100 mg. If you want to get prospectus and original box of package please contact Alvgear Customer Service. Also you could get special offers for bulk orders. Like all other pharmacy products Alvgear sends Mahram Darou brand’s products from international source’s stock with registered mail service. Estimated delivery time,guarantee reship and more informations please check Delivery Informations section left below. Shipping cost is fixed to 20 $. 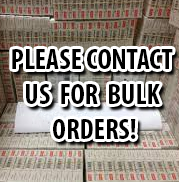 Bulk orders or others it is fixed.